Are you looking into alternative ways to make money online? 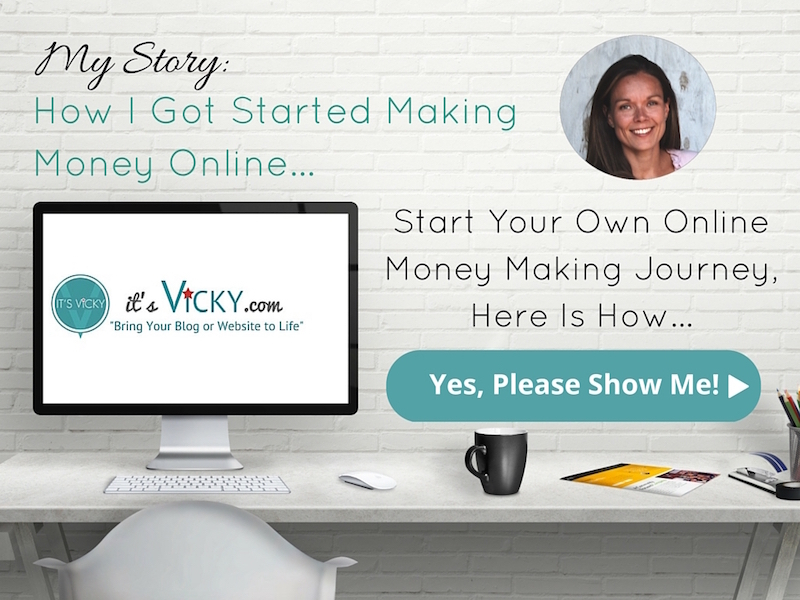 Maybe you have a blog or website already and want to monetize it, start making some money with it. Maybe you are brand new research different options. There are many ways to earn money online. 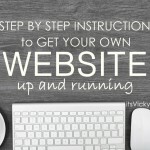 Running your own with site or blog can be a great way to create an extra income. There are many different ways to make money with a blog or website, you can use advertisements, create your own product or promote others products. That’s where affiliate marketing comes in. But… affiliate marketing does it work? Affiliate marketing is a great way to promote and recommend other people’s products. If you do it well, you will earn commission on the sales you make. It is truly a win/win/win situation since the company you affiliate with only pay you if you make a sale, the customer doesn’t pay anything extra and you as an affiliate can make some good money. You’ll never have to deal with payments, returns or complaints, you get to do the fun part, talk about products that you enjoy. 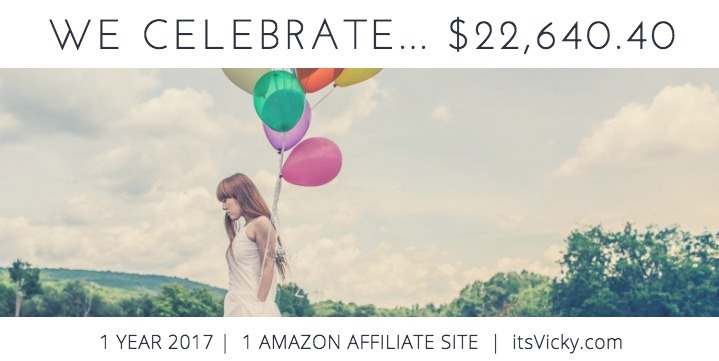 Instead of just saying, yes affiliate marketing works, I want to show you some real numbers from one of my sites, to help you decide if it’s worth it to you. Let me brief you really quick about the site before we dive into the numbers. This site was started in the beginning of 2015, so it’s almost 3 years old. Some of the sub-niches are winter month related so I see a natural growth during those months. Most content on the site is outsourced, I wanted the site to be pretty hands-off. Traffic is based on organic listings in Google and other search engines. 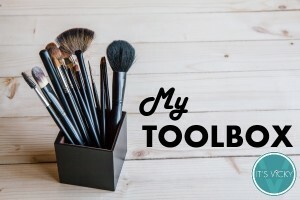 Today I submit 3 – 5 posts weekly. It started out with two posts weekly and grew from there. Starting out I only monetized with the Amazon associate program. Today I work with an additional company, an independent affiliate program. One thing that I remember hearing, that I’m sure you’ve heard of if you’ve done some research on affiliate marketing, is to stay consistent and be patient. What does that mean though? What can consistency and patience look like 3 years from now? That’s what I want to share with you. Now, these are my numbers, yours might be completely different. I’ve seen people making a lot more after the same period of time but I’ve also seen people making less. 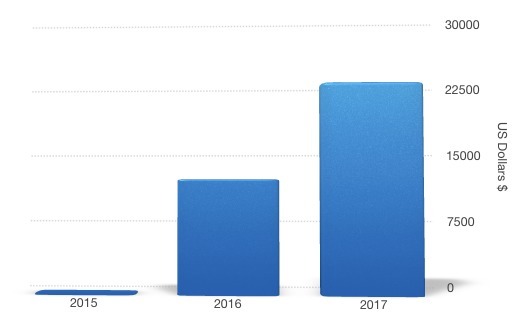 Let’s see if we can answer the question, does affiliate marketing work by diving into the juicy stats and numbers and look at the growth of this site. When you grow your site with organic listings in Google and other search engines, it does take time to get traffic. If you pay for traffic via ads you can kind of turn the traffic on and off. You pay for an add, you’ll get traffic if you do it right, but as soon as you stop paying for it the traffic will be gone. When using free listings in Google, Yahoo, and Bing it takes time to grow the traffic. You’ll have to do proper keyword research and you have to write well-written content that is SEO optimized. If you do this right, over time, your rankings will start to show and traffic will come. It has taken time, consistency and patience to get this kind of growth. As you can see if you stick with it, if it’s done right, your listings will start to show in the search engines. Today the site ranks for 17,900+ keywords. This did not happen overnight as you see it’s been a gradual progress. When you rank well, people will click your listings in Google and other search engines, which will increase traffic to your website or blog. This is what we want, free relevant traffic to your affiliate site. For the case study site, we see over 230,000 new users for 2017, with 353,946 page-views. Natural organic growth, for a site that’s 3 years old I would say that’s pretty good growth. That’s what constancy and patients can look like. When you have the listings generating traffic, its time to monetize that traffic and turn it into an affiliate income. 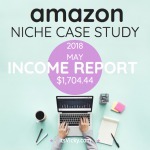 With this case study site, I use the Amazon associate program. A few months into 2017 I got in contact with another highly relevant independent affiliate program as well. I’m glad I did since Amazon changed their commission structure, but that’s a totally different post. Total earnings for this site, after expenses, was $22,640,40 for 2017. Not too shabby for a young site. I’m happy I didn’t give up after the first year making only around $550. The growth since has been great. There will be ups and downs in earnings, here is a monthly overview. The peeks are around the holiday season, a great time of the year to be an affiliate. If you want to see the monthly in-depth reports from the case study site you can access them here! I think as a conclusion we can say that yes if done right, affiliate marketing does work! My family thought I won the lottery… but the reality was a little different lol. 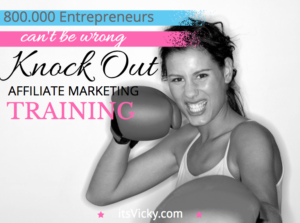 I’m not the only one that has figured out that affiliate marketing works. There are plenty of success stories out there. There are many examples of successful marketers online. 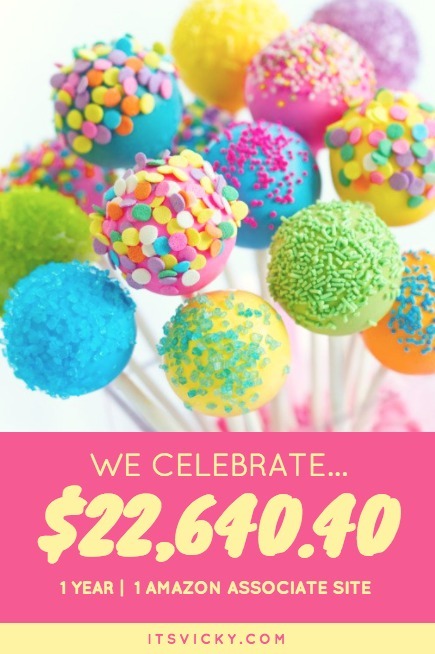 Here is a roundup of 9 women making a total of $216K in one month. 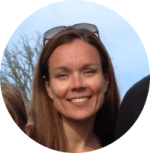 For the last 10 years, I’ve been a member of a community for online entrepreneurs, you can read more about the community and some of the success stories here. There are a few major things to keep in mind to make affiliate marketing work. Briefly, I will go through 5 things to help you create your own successful affiliate site. It’s important to realize that on the other side of that screen will be a person visiting your site and reading your content. 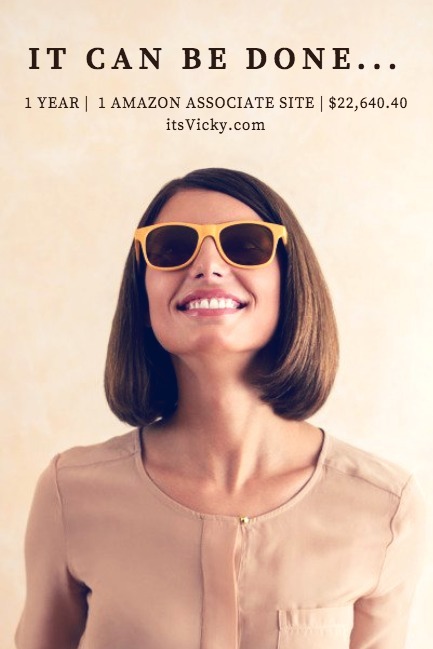 You want to understand your visitors and you want to deliver what they are looking for. 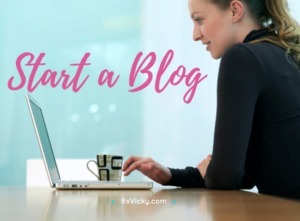 The easiest way to do this is to go to a site or blog about something that you are passionate about, something that you have a great interest in. You don’t have to know it all, but you want to have the drive and urge to learn. What are the people you connect with already? People on the soccer field, in the chess club, gaming online at the gardening club? Could your interest be a possible website idea for you? If you understand and connect with your audience they will trust you. That is something you will need down the road, trust. You want the visitors coming to your site saying, this is great content from a source that I trust. Understand your audience and help them solve their problems. If I have a health-related site, I want to stick with health-related topics. Adding a post about how to grow tomatoes are not relevant and would have no purpose on my health-related case study site. Now if I want to add a post talking about “5 health benefits of eating garlic” that would be highly relevant and beneficial to my audience. Stick to your topic and be relevant! Another thing that will help both your audience, your relevancy and rankings in Google and other search engines is to be very specific. If you do a gardening blog and want to write about growing tomatoes, dig down and be very specific don’t just write about “growing tomatoes” pick something like “how to grow organic tomatoes indoors” or “5 best kinds of tomatoes to grow in Florida”. The more specific you are with your content, the more relevant your audience will be and you can better help them solve a very specific problem. The last two things we have already mentioned earlier but they are important so worth mentioning again. When you start working on your affiliate marketing project be consistent. Whatever you can commit to, try to stick with that. If you can commit to submitting two posts weekly that’s great. Start with that and down the road, you can always add more to your weekly schedule. 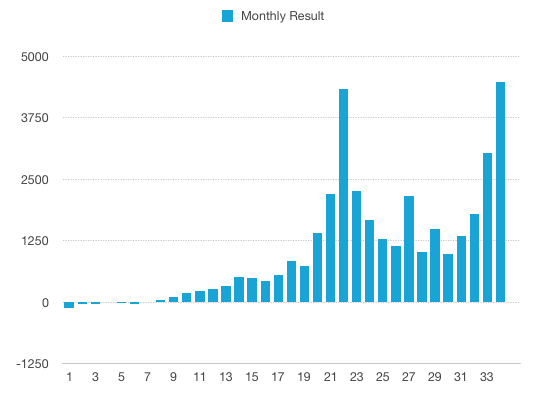 You saw earlier what consistency can do for increased rankings in the search engines. If I would have quit after the first year I would have made around $550. That wouldn’t come out to much per hour since I did put in quite some time, in the beginning, creating the site. That is the hard part, in the beginning, you do put in a lot of time but don’t see the financial benefit of it. That’s why it’s important to work on a topic that you really enjoy. If you do stay consistent and if you do put in the work needed, it is possible to see some real financial benefits from it. Where Will You Be in 3 Years? 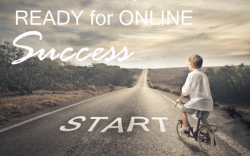 If you are ready to get started, I would suggest that you take a look at Wealthy Affiliate an online community that offers step by step training, from the website set up to getting traffic, to turning that traffic into an income. This is the place where I got started years ago and it has sure paid off. You can read my review about the community here! Start today and who knows where you’ll be 3 years from now! What are your thoughts about affiliate marketing? 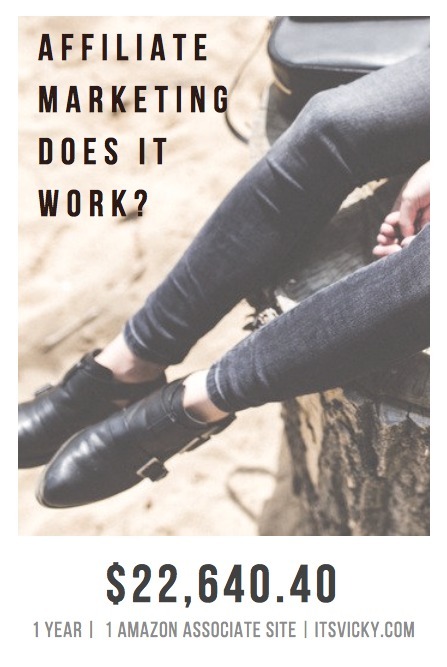 Affiliate marketing does it work? Do you believe that it can work for you? Please share in the comment section below.